When I was growing up, my parents had volumes of the Illustrated Everyman's Encyclopaedia. These veritable tomes of knowledge were bound in navy blue vinyl and I used to enjoy leafing through them. What I liked most about them was that the articles were short and concise, and there were plenty of pictures. It never failed to amaze me how quickly accessible knowledge could be if you knew where to find it. Since then, knowledge and its organisation has accelerated to inspiring new dimensions. The world is literally at our fingertips. 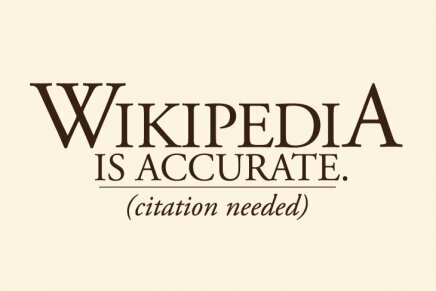 Despite criticism from purists, Wikipedia has collected over 15 million articles written in over 270 languages, all by unpaid contributors. This is under the single idea of 'creating a world in which every single person on the planet is given free access to the sum of all human knowledge'. I've always found it to be an exciting idea. What I find most curious about Wikipedia is that all of the heavily edited articles end up being written in a very similar style, even though they're the end result of hundreds of separate authors. To celebrate such an excellent resource, this unremarkable little blog will now start featuring a new idea, in the parasitic hope of basking in its shadow. I'm on Wikipedia most days of the week, often link surfing through articles of only minor relevance to my degree. It's a part of my highly ritualised procrastination routine. Very occasionally I'm going to make a note of the more interesting ideas here, in a feature called Wiki Rummage, where I'll summarise an article that potentiates food for thought and add other information from sources online. It won't be a cut and paste job, more of a re-communication in my own explanatory way. For those readers coming here to learn more about life in Korea, I'll still be updating as normal and there will always be plenty of photos in the archives. If you find it boring, just bear with me while I indulge my shameless geekiness. And if you find it interesting, great. 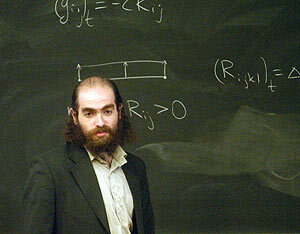 The first Wiki Rummage article is on Grigori Perelman, a Russian mathematician who has solved the Poincare Conjecture. The Poincare Conjecture was one of the most difficult problems in mathematics, first proposed by Henri Poincaré in 1904 and remained unsolved until Perelman published the full solution in 2003. 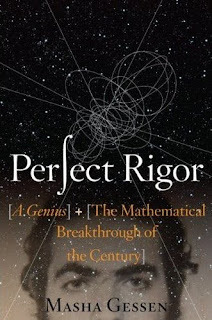 Three independent teams of mathematicians verified the solution and in 2006, Perelman was offered the Fields Medal, a prestigious prize offered every four years and often considered the highest honour a mathematician can receive. 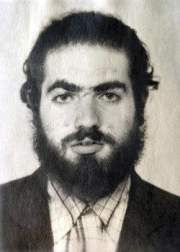 But in the true form of a reclusive genius, Perelman refused to accept the award and wouldn't even attend the ceremony. One of his initial statements was "If the proof is correct, then no other recognition is necessary." He rejected jobs at Princeton and Stanford, and accused some in the mathematical community of being unethical. The controversy doesn't stop there. The Poincare Conjecture is such a big deal, that it was previously named by the Clay Mathematics Institute as one of the seven Millenium Prize Problems. If anyone solves any of them it means that the Institute will award them US$1,000,000. Perelman is now the only person to have solved one. He has not yet accepted this prize, despite living in poverty with his mother in an old apartment in St Petersburg. He has quit mathematics, avoids the media and apparently plays table tennis with himself against a wall. All of this adds up to a very interesting biography called Perfect Rigor by Masha Gessen. I haven't read it, but the reviews of it that I've found say that it provides an interesting insight into the mind of Perelman. Perelman wouldn't grant an interview to the author, and so she gathered the information by talking to his friends and colleagues. 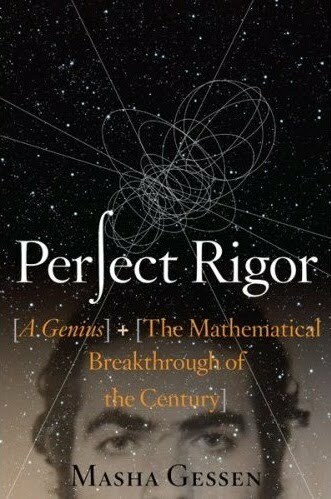 I find all of this to be quite fascinating, but one thing the book apparently doesn't address is what the Poincare Conjecture actually is. The Wikipedia article on it is also a little too technical for my liking. I guess one of the weaknesses of Wikipedia is that for certain topics, the most concise explanation may not be understood by the majority of the population. So I've done a bit of reading in various places and have proudly attained a rather dismal grasp of the basic concept. In terms of complexity, I think my situation is akin to a mongoose trying to understand the concept of spacetime, or an ostrich trying to understand General Relativity. But nevertheless, allow me to share the fruits of my labour with you. "Consider a compact 3-dimensional manifold V without boundary. Is it possible that the fundamental group of V could be trivial, even though V is not homeomorphic to the 3-dimensional sphere?" It's funny that such a short burst of words can mean so much. In language digestible to the rest of us, a 3-sphere is a higher dimensional analogue of a sphere. If you imagine what you know as an ordinary sphere (technically called a 2-sphere), what you may realise is that the surface represents every single possible point that exists at an equal distance from the centre. So an ordinary sphere drawn on paper forms the boundary of a ball in three dimensions, even though it's represented on a 2 dimensional surface. In the same way, a 3-sphere consists of an object in 3 dimensions that forms the boundary of a ball in four dimensions. There are many higher dimensions in theoretical mathematics that we ordinary folk don't pay much attention to, but apparently they exist. I'll take their word for it. Simple objects become highly complex when represented geometrically in four dimensions. Take for instance, the Tesseract, which is the four dimensional analogue of the humble cube. I just had to post one here because they look cool. 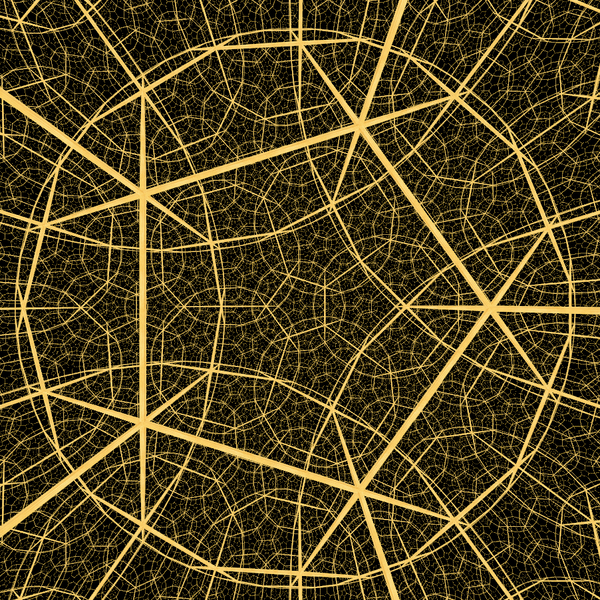 Now according to the Clay Mathematics Institute, what the Poincare Conjecture is all about is connectivity of the surface. If you imagine a rubber band stretching over an apple, you could imagine shrinking or expanding it without ever having to tear it or allow it to leave the surface. This property is known as being 'simply-connected'. On the other hand, if you think about a doughnut shape (a toroid), you could imagine that it's possible to interlink the rubber band in such a way that the rubber band could not shrink past a certain point without cutting the doughnut. In terms of surface properties, this is the major difference between an apple and a doughnut. The Poincare Conjecture is basically asking whether a 3-sphere is simply-connected or not. This is not as easy to prove as it sounds. For a start, we humans are physically incapable of observing an actual 3-sphere. The diagrams above are representations of various aspects of the 3-sphere, and the actual thing itself combines properties of all of them. The red lines represent the parallels of the shape, the blue lines are the meridians and the green lines are the hypermeridians. 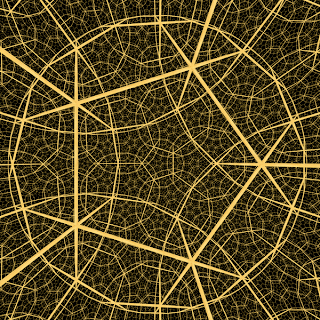 The yellow points are where the curves intersect. All curves are circles and the point where each curve intersects has an infinite radius, represented as a straight line. A real 3-sphere would be much more elaborate, but we're incapable of comprehending the dimensions in which it exists. All we can do is acknowledge that the dimensions do exist, and try to imagine what might be going on. The crude representations above would be as inadequate as attempting to paint the Mona Lisa using a banana stuck in a donkey's ear. So anyway, the million dollar question was whether a 3-sphere is simply connected or not. Perelman proved that the answer is 'yes'. But what is the significance of the solution? Well firstly, topologists want to know about the properties of four dimensional objects. We primates are curious things and will happily expend an enormous amount of resources just to find something out. 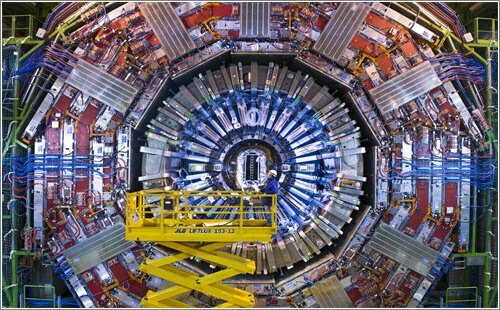 Take for example the Large Hardon Collider at CERN. At US$9 billion, it's the most expensive science experiment in human history. And it's all to find out whether the Higgs Boson is real and what the universe was like during the Big Bang. The very fact that the experiment has been approved shows that there are enough people in the world who think that the answer is worth more than 3 billion Sausage-and-Egg McMuffin Meals. Outside of topological circles though, the significance of the Poincare Conjecture is due to the techniques Perelman used to solve it. Simply put, in order to solve such a complex question, Perelman had to invent methods that no one else had thought of. These breakthroughs can now be applied to other questions in mathematics. And what did I take away from all of this? Well it always amazes me how some professors appear to live in their minds. Geniuses often seem somewhat removed from the world and a little odd to the rest of us. I think this is because pondering such deep ideas for extended periods of time requires a complete focus of the mind. To appreciate these ideas, one needs to spend a lifetime consumed by the subject. There's no room left over to consider the equally complex world of social norms. The idea that there exist other more complex worlds is also exciting. For me, understanding the complexity itself isn't necessary. Just the idea that in the universe, there exist fantastically absurd ideas that are mentally inaccessible to the vast majority of us, is fascinating. I try to imagine what Perelman felt when he first realised the complete solution to the conjecture. How would it feel to be the first person in human history to ever understand something so complex? coincidentally, i just read this very detailed article on the same guy. what's up with the picture of him on the train? Oh yeah, the subway photo. Fascinating. He just comes across as something out of the ordinary. I had a set of Funk & Wagnalls growing up. We were missing a volume but I have good memories of reading through them as a kid. I also had Encarta '95 and I used both as references for several school projects. Kids are so spoilt these days when it comes to information sources. Yes, Encarta 95 was a classic. I liked a lot of things about it, but then it kind of faded into insignificance. "Take for example the Large Hardon Collider at CERN." 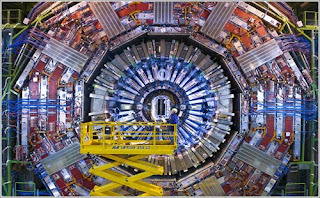 Yes: every lady should get to know the Large Hard-on Collider. On a more serious note: very interesting post. My head is still spinning. And I can't stop staring at the tesseract. The first time I ever encountered that term was as an elementary schooler reading Madeleine L'Engle fantasy novels. Wow, Big Hominid is here. That means I'll have to put you back on the regular blogosphere updates list. I didn't realise I spelt it wrong. How inappropriate, yet appropriate at the same time. I'll just leave it like that. Yes I remember Mrs Who and Mrs Whatsit as well from a Wrinkle in Time. Great article, although I am having trouble understanding the initial problem (join the club, right?). This guy sounds like John Nash, from "A Beautiful Mind". There definitely is a correlation between being a little mad, and creative genius. And also someone who can stick with a problem longer than us 'little heads'. Grisha Perelman is a rock of a man! He is my idol of dedication and hard work. You are a real champion of maths. Keep up your good work.